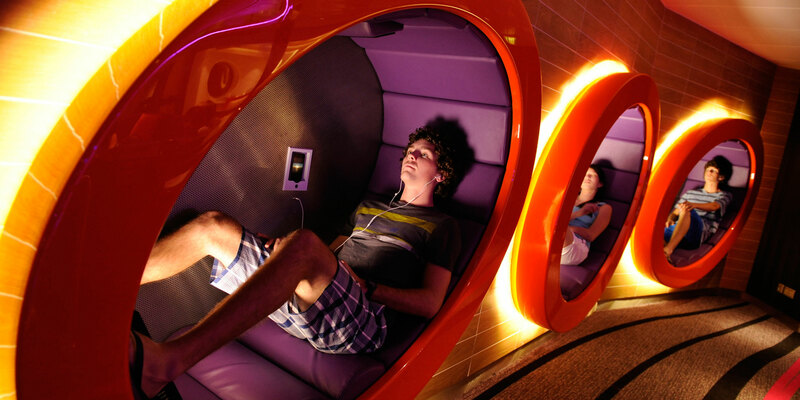 Some cruise ships are better than others at keeping teens happy and busy during days at sea. 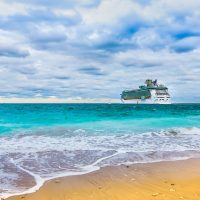 Nowadays, there are incredible onboard features such as laser tag, IMAX movies, ice skating, waterslides, and teen-only lounges. These are the best cruise ships for teens in 2019. 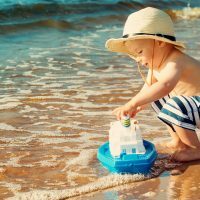 The biggest cruise ship in the world has something for every age group. But it really stands out for teens. There’s ziplining nine decks above the Symphony’s Boardwalk; a radical indoor laser tag arena; a cool blue multi-purpose sport court abuzz with activity day and night; and a full-ship running track. But that’s not even the half of it! Teens will love ice skating at sea, dancing a night away during the RED all-ages after-hours party, and watching Hairspray! The Musical on stage. At the back of the ship is a massive rock climbing wall and the Aqua Theater that shows movies and hosts jaw-dropping theatrical shows. 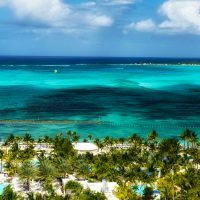 Need more of a reason to take your teens on Symphony of the Seas? How about three awesome waterslides, big half-moon-shaped hot tubs open late into the night, Flowrider surfing and body boarding, and a hip teens club? Top-flight theater shows like Vintage Pop and Soulbound will delight teens who dig Broadway musicals, and–above all else– they make the Carnival Horizon one of the absolute best cruise ships for teenagers. Add in a fantastic Club O2 for teens 14 to 17, and Circle “C” club for kids 12 to 14–with all that video game playing, those fun dance parties, and the chance to make new friends IRL, as well as on IG and Snapchat–and it’s easy to see why Horizon is a popular choice for families with older children. There’s also the SkyRide; a head-to head, pedal-powered race unlike anything at sea; a SkyCourse ropes and balance track above the top deck; indoor video arcade; IMAX with first-run movies and a 4-D Thrill Theater; twisting waterslide; delicious 24-hour pizza; full-size basketball court; a magnificently raucous end of cruise Lip Sync Battle; and outdoor movies under the stars with free popcorn. Phew! 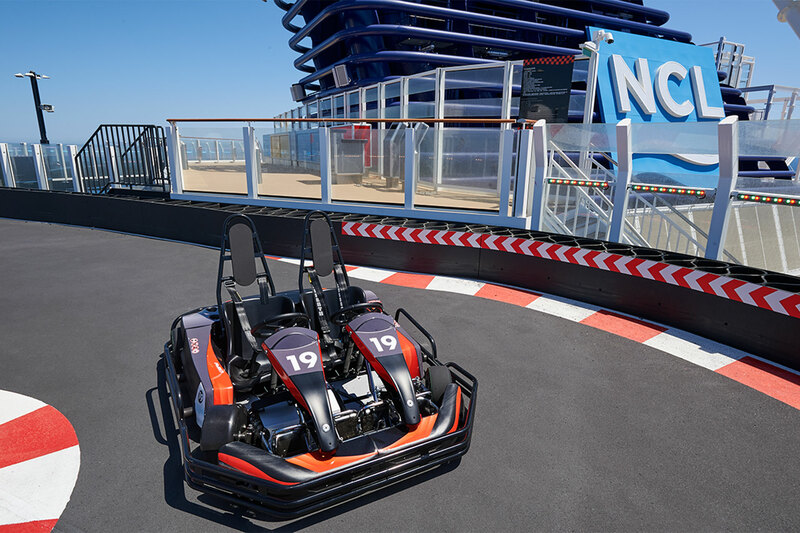 A thrilling go-kart track spanning two decks is one of the coolest activities on any cruise ship, for any age group–but teens especially will love to race during their family cruise vacation. 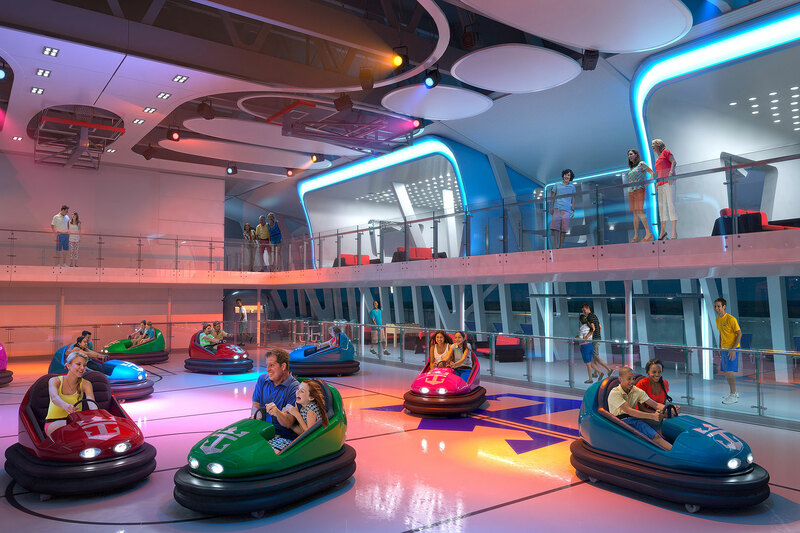 They’ll also spend hours inside Galaxy Pavilion, a virtual reality world unlike anything at sea; playing laser tag outdoors, and slipping down the Ocean Loop waterslide, which actually extends off the side of the ship! When they want to chill out and meet some new people from around the world, Entourage Teen Club is the place to be. This complimentary clubhouse at sea for 13- to 17-year-olds transforms into a dance club at night, but there’s also fashion and theater workshops, themed events, pool parties and more waiting for your teen cruisers. Teens who swerve to the geekier side of the spectrum will love the comic con-stylings of the Disney Magic during its Marvel Day at Sea sailings. See also: Disney Star Wars at Sea. 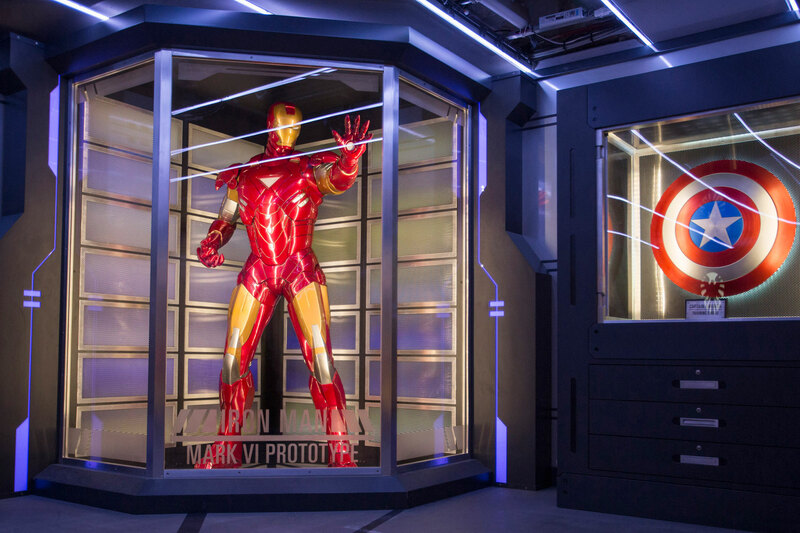 But even if Iron Man and Black Widow aren’t available as cruise companions, Disney Magic is still a rad ship for teens thanks to Vibe, a stellar, parent-free zone for teen dance parties, karaoke, fruit smoothies, video games, watching TV and making new friends. 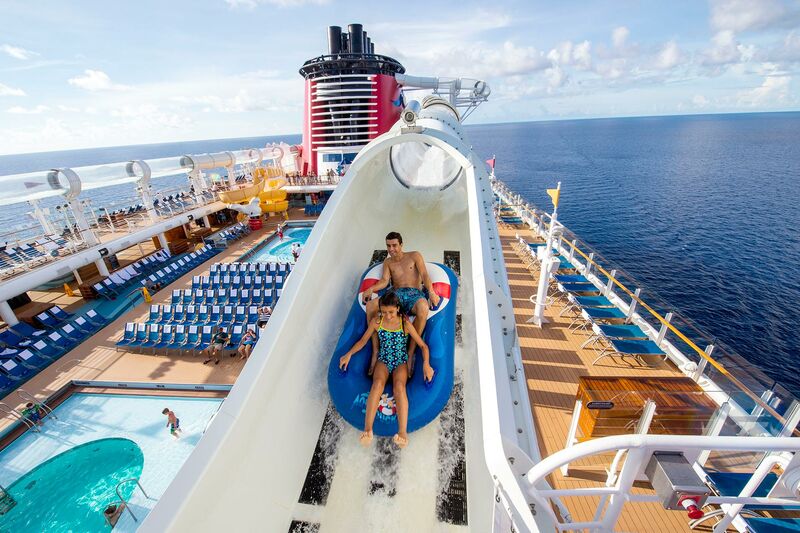 Out on the decks beneath the sun is a thrilling drop-out waterslide, the AquaDunk, and the Wide World of Sports at the top of the ship, with basketball courts, Ping-Pong tables and soccer nets. Teens who still have a soft spot for Disney princesses won’t want to miss the Tangled theatrical show or the chance to have dinner in Lumiere’s. 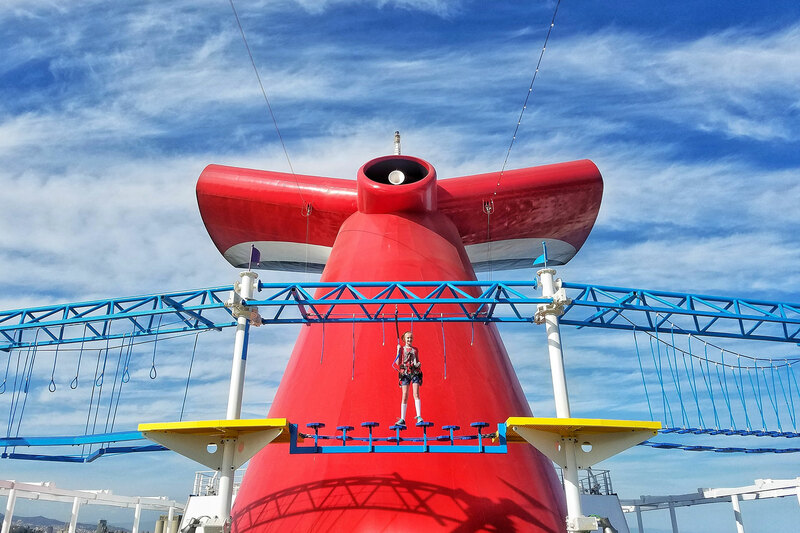 Teens (and daring adults) can walk the plank–8 feet over the side of the ship!–for the ultimate adrenaline rush. 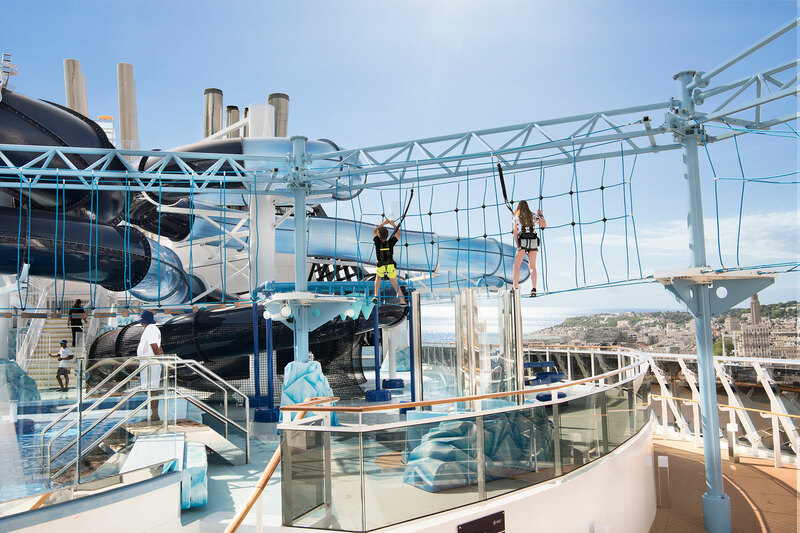 Norwegian Getaway also has a multi-level ropes course; multi-level sports court with 40 elements to master, from a rock climbing wall to a spider web with a 24-foot cage and spiral slide; and five waterslides, including the daring 4G drop of the Free Fall. Indoors, Entourage Teen Zone is a complimentary place at sea for 13- to 17-year-olds who want to relax and later on, enjoy dancing. The star attraction for teens on Princess cruises is The Beach House, a themed lounge awash in teal and wood planks. It’s a warm, fun space for 13- to 17-year-olds to hang and make new friends. The Princess Rock the Boat Party gives teens an occasion to dress up, stroll down the red carpet and flash a VIP badge for an evening of mocktails. They can also get makeovers and glitter tattoos beforehand to show off like a real star. There are teen video game tournaments, air hockey, foosball and Ping-Pong tables for indoor competition. Outdoors under the sun at sea are sporting activities like dodgeball and basketball tournaments. Young dancers will enjoy working with crew entertainers during dance competitions and parties, while teenage film buffs will dig Scary Movie Night and Late Night Movies–in addition to regularly scheduled movies under the stars. The Emerald Princess features a nine-hole miniature putting course and a golf simulator, which recreates some of the world’s greatest courses like St. Andrews and Pebble Beach. Grab a burger, fries and onion rings with new friends at Johnny Rockets before roller skating or smashing into each other on the Anthem’s incredible bumper car arena in the SeaPlex. Ripcord by iFLY will let your older kid simulate sky diving while at sea, and teens can reach additional new heights in trapeze school and on the massive rock climbing wall. For watery thrills onboard, there’s the FlowRider surf simulator–it can be as much fun to watch people wipe out on as it is to actually do yourself! When chilling out is in order, return to the SeaPlex for XBox video gaming and food truck eats while a floating DJ booth spins music overhead. At night, most teens will love We Will Rock You, a Queen-inspired musical stage show and Two70, a performance blending together robotics, video projection, and human artistry to make something jaw-dropping for crowds. 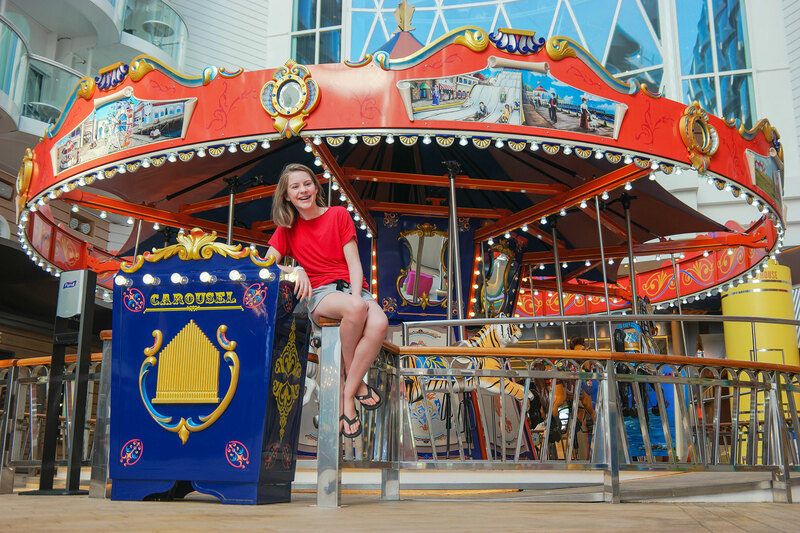 Carnival’s Club O2 for teens, and Circle “C” club for kids 12 to 14, were taken to a whole new, awesome level on the eponymous ship in Carnival’s new Vista class. Teens can hang out in their own private, parent-free room for video game playing and late-night dance parties. They’ll make new friends with whom they can enjoy the SkyRide high above the top deck of Vista, a challenging ropes course, cool video arcade, an IMAX and/or 4-D Thrill Theater, and the color changing Kaleid-O-Slide waterslide! The food on Vista is a hungry teen’s heaven, too, with 24-hour pizza and soft serve, and Guy’s Burger Joint and Guy’s Pig & Anchor Smokehouse. Afterward, they can head to the full-size basketball court and finish off the night with outdoor movies and buckets of free popcorn. This new MSC ship features a cool teens-only hangout with movies, a gaming room, and a disco party space. Teens will also love the two F1 Simulators for virtually racing cars in head-to-head battles with new friends. 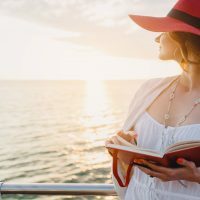 This classy ship also has a full-size bowling alley, teenage hair and beauty treatments in the Aurea Spa, and the chance to participate in flash mobs. There’s also a prom night just for teens! The Grandiosa’s Polar Aquapark has one of the most intricate water parks at sea, with three twisting slides, a ‘Himalayan Bridge’ and a range of pools for teens to enjoy. In the evening, kids and their parents will want to rendezvous in the custom-built Cirque du Soleil lounge for dinner and a show. Another perk: MSC allows teens to carry around a prepaid debit card, which gives them further autonomy onboard. If your teen still loves all things Disney, the Dream is just that! This cruise ship is so much more than cartoon characters. For example, there’s the AquaDuck. Running the length of 2.5 football fields with hair-raising twists and turns, even zig-zagging over the ocean at one point, this is the first “water coaster” at sea. Social media-loving teens will be ecstatic when they discover the computers that allow them to post pictures of themselves splashing down the AquaDuck! Dream’s tween club, The Edge, feels grown-up and sophisticated (cool fact: it’s located in the ship’s funnel), with a massive video wall for gaming. Teens ages 14 and older will enjoy kicking it in Vibe, a club with its own splash pool, lounge, karaoke, and dance parties, all far removed from adults and those pesky little brothers and sisters.